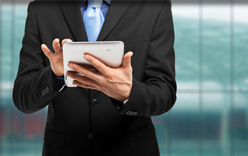 Our Myrtle Beach lawyers are experienced in more jurisdictions than almost any law firm in the Grand Strand area. 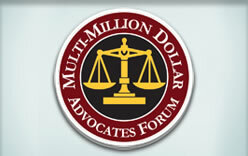 Our lead trial attorney is a member of the Million Dollar and the MULTI-MILLION DOLLAR Advocates Forum. 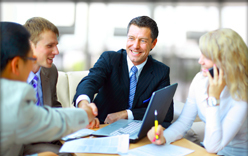 We have attorneys who are licensed in Florida, Georgia, and of course South Carolina. Our South Carolina attorneys have vast experience in Federal and State court litigation. The ability of an attorney to effectively represent his or her client many times will rest on that specific attorneys experience level. Having litigated cases in various state and federal courts throughout the United States and abroad, our attorneys have vast experience with several areas of the law. Our attorneys have passed several state bar examinations and currently practice in a variety of state and federal jurisdictions. The Mace Firm is a South Carolina personal injury law firm that has been helping South Carolina accident and injury victims for over 17 years with offices in Myrtle Beach, and Miami Beach. Our central office is located in Myrtle Beach, South Carolina. We have a group of effective and highly skilled Myrtle Beach lawyers that have years of experience in prosecuting personal injury lawsuits. Our attorneys represent personal injury and wrongful death victims throughout South Carolina, including Myrtle Beach, Charleston, Florence, Columbia, Greenville and several other jurisdictions. Our firm has recovered numerous multi-million dollar awards and strives to provide the highest quality of representation to our personal injury victims and the families of those victims who have been wrongfully killed because of another’s negligence. We represent victims injured from automobile accidents, trucking accidents, motorcycle accidents, medical malpractice, nursing home abuse, slip and fall accidents, defective products, and many others. Personal injury victims will often have to endure significant pain along with high medical costs and an inability to work. In some cases, the negligence of others may even lead to death. The Mace Firm has focused its practice in helping these innocent victims and families. We are passionate about this field of law and seek to do whatever is necessary to protect and vigorously pursue what is in our client’s best interests. The least of your worries should be how to cover your financial expenses as a result of another’s negligence. Our personal injury lawyers can assist you in recovering for medical costs, pain and suffering, lost wages, lost future earnings, rehabilitation costs, and many other costs associated with your injury or your loved one’s wrongful death. Of course, no amount of recovery will ever make up for the past wrong, but it is the most effective way of holding the responsible party accountable for their actions. This is what we strive to do at The Mace Firm. If you need our legal services due to a personal injury or wrongful death, please contact our office online or directly at 1-800-948-7425 for a free consultation with one of our personal injury lawyers.